Whether you’re boarding a plane to zip off for a day of business meetings or you’re on your way to a summer spent in Italy, you can always look stylish while doing it. There’s no reason why you should feel defeated and look slobbish just because you’re boarding a nine-hour plane ride. Fashionable travel is always possible, and you won’t have to be uncomfortable in order to achieve it. Always remember to keep things simple. Don’t overdress. Put away those staggeringly high heels. Victoria Beckham might be known for wearing high heels around airports, but luckily you don’t need to sport that such a high maintenance look when you travel. You can still look great in a pair of great-fitting jeans and a comfortable, yet unique or stylish, top. Blazer jackets or scarfs provide a great way to keep warm in the plane’s air-conditioning while flat shoes that are easy to kick off once you’ve settled in are a great alternative to worn-out sneakers or hiking boots. Leave those for backpackers. If you’re looking for something that’s incredibly comfortable yet remains stylish, then the maxi dress is always a good choice. Ashley Greene is known for rocking the maxi dress on airports. Another celebrity that knows just how to look great when she steps off the plane is Gwyneth Paltrow. Although she does tend to sport pretty high heals, she dresses smart, with jeans, a comfortable, yet stylish top and accessories and bags that are stylish and work together well. Gwyneth is a great example of what accessories can do to bring style to your airport look. One of this year’s ultimate fashion items are designer coats. Keep it with you one the plane, draped over the luggage in the overhead compartments and simply throw it on as you leave the plane. You’ll look fresh as a daisy and stylish to boot while you’re waiting for your luggage – unlike all the other travelers sporting wrinkled shirts and spandex. Pick out a coat with lighter material if you’re traveling to a place that finds itself in between seasons. Your coat will not only cover up your own wrinkled clothes, but it will also give a great sense of style to your travel-look. Another easy way to up your travel style is to invest in some beautiful luggage. 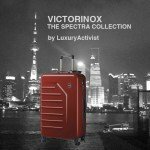 You’ll be surprised at the beautiful designer luggage items available for both men and women out there. These essential items won’t only draw the attention away from the outfit that you might see as a comfortable necessity, it will also add something extra to your look that’s beautiful and unique. This will prevent you from looking like all the other similarly dressed travelers on the airport. If you’re traveling for business, shop around for some creative leather briefcases. These luxurious items will give you a smart edge when you’re walking through the airport and onward to your business meetings. These days, women can also sport a classic leather briefcase as there are many luxury brands out there that supply sleek, stylish briefcases. While briefcases can add a great element to a businessman/woman’s travel style, a creative suitcase that’s not as easily available in the stores as the generic suitcases can give your look a great boost. Shop around for more luxurious suitcases that boast a creative pattern or a slightly different shape than the regular suitcases out there and you’ll instantly feel more stylish while you travel. Men can settle for a brown, charcoal or black leather suitcase and women might enjoy a suitcase with a unique print on, a print that you won’t find on the run-of-the-mill suitcases available in the shops. If you decide on which travel accessories you’re using first, then the outfit will come naturally. You’ll see that there’s not need to dress up to look good while traveling, but that a few simple accessory adjustments can promote you from look shabby and plain to being the most stylish person walking through those airport doors. Victorinox watch… from Pocket knives to a Travel watch!